Sad to see it go, love to watch it leave. I’m excited to see what you come up with next… *cough*V70/S60R manual*cough*. 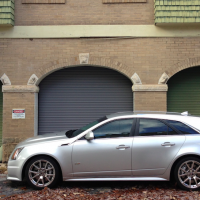 I currently have a 04 E55 and was considering a CTS-V wagon just to go street racing and blow doors off every other car. E55 wagon was a lot harder and more expensive 30k+ for a clean used one. 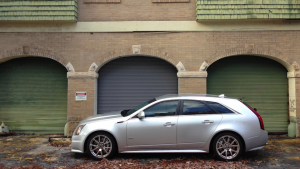 Glad you enjoyed the wagon, what’s next?